adidas has marked two decades of its partnership with David Beckham by unveiling a limited edition collection of boots to celebrate the former Manchester United and Real Madrid player's illustrious career. 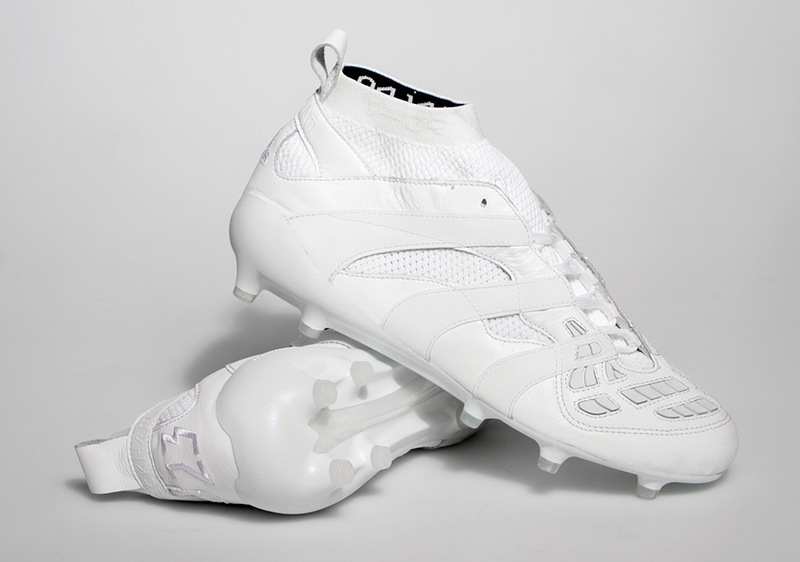 The David Beckham x adidas Soccer Capsule Collection includes three new adidas football boots in three iconic colours (white, black, red) for three different surfaces (stadium, street, cage). 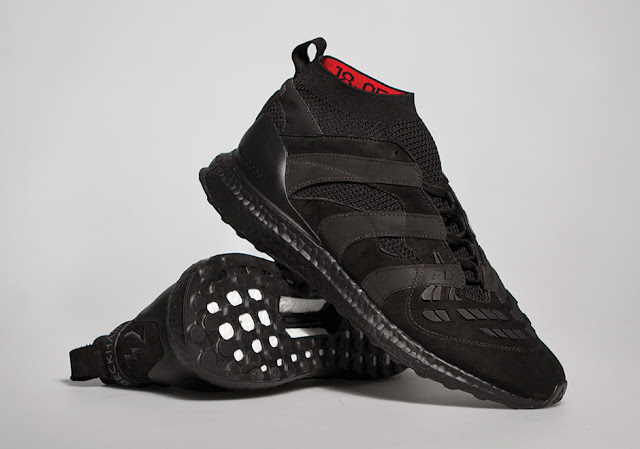 The adidas Accelerator Ultra Boost comes in a 'Triple Black' colour scheme with red detailing on the inner ankle. The other two models included are the Accelerator Turf and Accelerator Cleat. The most expensive boots in the collection are the triple-white remastered Predator Accelerator boots at £299.95. 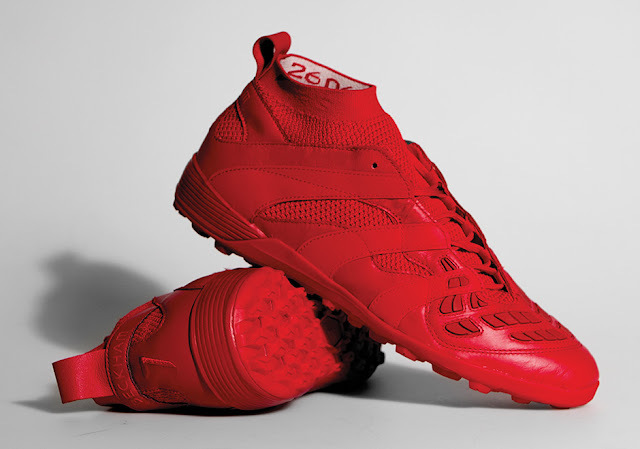 The triple-black street shoes are slightly cheaper at £219.95 and the triple-red cage or astro-turf boots will be on the market for £179.95.